If you’re a walker or a runner, then you know how important it is to get shoes that are really comfortable, because you don’t want shoes that are going to end up giving you blisters, which will stop you from exercising for a few days until they have healed. Not only this, but the type of shoes you wear will have a big impact on your posture too, and it can affect the way you walk. Therefore you really don’t want to be wearing shoes that may put your posture out of place. Plus, if you chose to use walking shoes on your way to work in the city, then they will need to be very comfortable. See the best men’s walking shoes here. 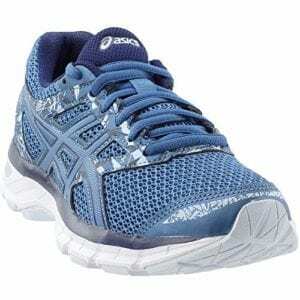 View the Best Walking Shoes For Women, Below. Lace Up or Slip On? 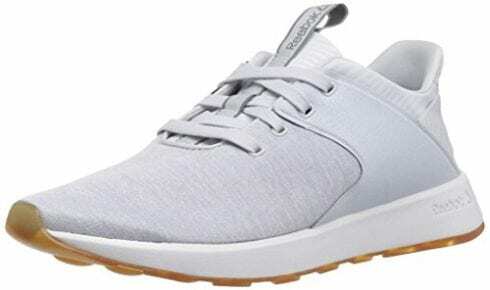 What are the most Comfortable Walking Shoes for Women? Are Branded Walking Shoes Better than Shoes that are not Branded? How to clean walking shoes? Therefore we’ve put together a list of some of the best walking shoes that you can purchase online, and these ones really are the best shoes you will feel most comfortable in. These shoes are available in a whole range of colors, so you are able to choose whichever color suits you the most, or if you like them that much you can purchase them in various colors. These shoes are actually cushioned all over, plus, they have a unique feature that reduces the force of any shocks that may impact your feet. On the exterior of the shoe, there is a very strong grip on the rubber sole, meaning you shouldn’t be able to slip over easily. Not only this, but the sock liner inside the show is actually molded to the exact shape of your foot. We liked this product because it really gives you extra cushioning on your feet and the fact that the inside of the shoe molds to your foot is amazing. These shoes are perfect if you want to get in good health quickly. They have been designed in a way that will help you exceed at any sport you participate in. They have mesh on around them which actually helps support your stride, plus, it has a co-molded sole that molds to the exact shape of your foot and enables them to feel smooth when you’re walking or running in them. The shoe is actually made from polyester text synthetic plastic, meaning that it is a very sturdy and long lasting. We liked this product because of the way it feels when you’re wearing it, and it will make walking very enjoyable for you when you participate in any activity. This show has a slightly different design to some of the others, as you just have to slip them on because there are no laces. This makes it a lot easier for you if you're in a bit of a rush, as you won't have the trouble of tying up your laces. 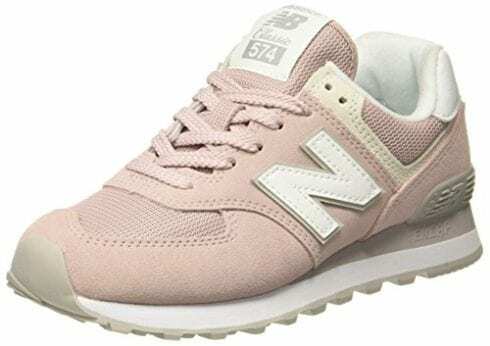 These shoes are also available in a whole variety of colors so you can pick some that will suit your style the most, or if you want to you can even get them in multiple colors. These shoes are also suitable for people that have wide feet. 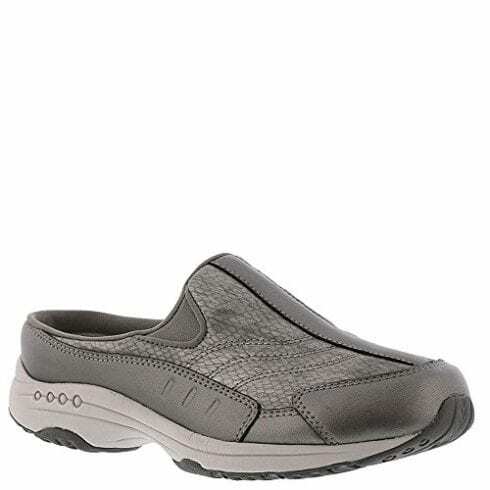 We liked this product because it also has additional features like the slip resistance and the material it’s made from makes it easy for your feet to breathe. These shoes have an entirely different design to most walking shoes you would have seen, but these ones are perfect to use in the summertime when the weather is a little warmer. Due to the fact they are designed in a similar way to a clog it makes them very easy to use, as you just need to slip them on. Plus, the material that they are made from provides you with extreme comfort, and the sole of the shoe also absorbs any shocks, making them even easier for you to use. The outside of the shoe is made from suede, meaning they are extremely fashionable. We liked this product because of the unique design, as it makes them very easy just to pop on and use, especially, if you're in a rush. If you're looking for a shoe that you want to wear day in day out and will never fail you, then this is really ideal for you. They are available in a whole variety of colors to match your style. They are made from specific materials and fabrics that enable your feet to breathe while you're wearing them. Not only this, but the inside of the shoe is actually made from memory foam, which enables you to feel the most comfortable you have probably ever felt, and it also memorizes your foot shape making it have a custom feel fit. We liked this product because it can easily remember your foot shape making it extra comfy for you to use on a regular basis. If you're looking for sturdy trainers, then these will be perfect for your needs. They have a rubber sole on the bottom of them that has an extreme grip. Plus one amazing feature with this shoe is that you can remove the insert; therefore, if it gets quite worn from the inside, then you can easily replace it. 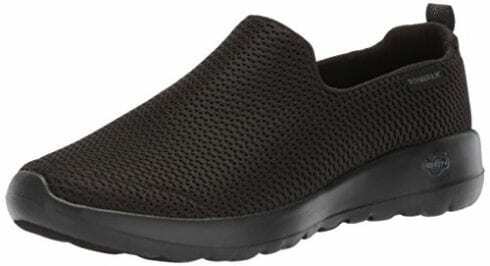 These shoes are also very lightweight, meaning it's easy for you to carry around in the daytime if you use them for work and they won't weigh you down. Plus, the side of the shoe is very comfortable to wear for hours on end, and it provides you with a lot of support. We liked this product because it is very comfortable to wear and the inner of the shoe is removable making them last longer even if you use them regularly. These shoes may look a little bit more on the simple side, but they are so comfortable the design won't even matter. Plus, because the design is more basic, it allows it to match with nearly all of your outfits, and they are also available in a variety of colors. They are also extremely lightweight, so you are able to transport them anywhere you need to without any issues of them being too heavy. 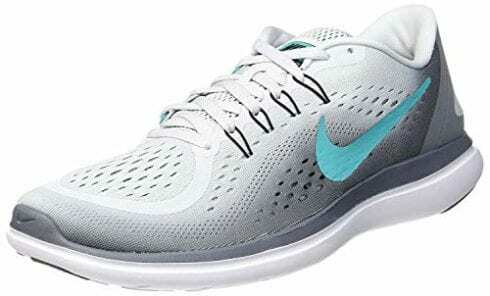 The interior of the shoe also has responsive 5Gen cushioning that will make you feel like your feet are in heaven when you’re walking or running. We liked this product because it has been designed to give you extra comfort with its soft fabric lining and its padded collar, which also prevents blisters. This style of shoe is very fashionable at the moment, and you may even notice that some of your friends have been wearing a similar design. They have a lace up design making them able to stay on your feet even if you're in a rush and sprinting down the street. These shoes are actually made from leather and synthetic materials as well, making them last a very long time and suitable for all weather conditions. If you're hoping to get very fit and healthy, then these shoes will allow you to exceed this, as they are actually designed for athletics and are able to help them achieve their goals. We liked this product because of the benefits that it can give to you, as it can really help with your fitness and also with exceeding in any sport. These shoes are perfect if you like to do long distance running. They have a lace up design, which allows them to easily stay on your feet no matter how fast your running. They also have an additional feature of being slip resistant, so you’re able to use these in any type of weather as well. 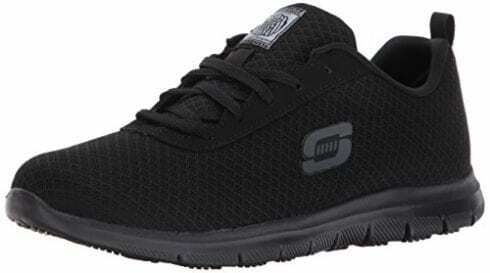 They have mesh fabric on the outside, which enables your feet to breathe easily. This style of shoe is also very fashionable at the moment, and a lot of people have been wearing them recently. They are very comfortable to wear on a daily basis. We liked this product because the design is very fashionable right now, so you can walk and run while looking trendy at the same time. These shoes are available in a whole variety of colors, so they are able to match any clothing that you want to wear. They are very true to size so you won't have to worry about them not fitting you and what size you need to order. Plus, they have a very strong rubber sole meaning you are unlikely to slip over in them. The interior of the shoe is very soft, making it really comfortable when you’re using them every day, whether its to walk to work in the city or to run around your local blocks. We liked this shoe because they are also very lightweight to carry around with you, so you can easily pack them in your bag and take them wherever you need to. Buying the right walking shoe is very essential, especially if you’re planning to use them every day or even if you want to workout in them. This is because the shoe you wear can easily affect your posture, back, hips, knees and of course your feet too. You never want to wear a pair of shoes that are going to cause you to have blisters, sores on your feet or other problems with your body because it can affect your health and the way you walk. Therefore you want to buy shoes that are going to be the most comfortable and practical for you to wear. In our buyers guide we’ve discussed all the points that you need to look out for before you decide to purchase any running or walking shoes. Fan of popular brands? 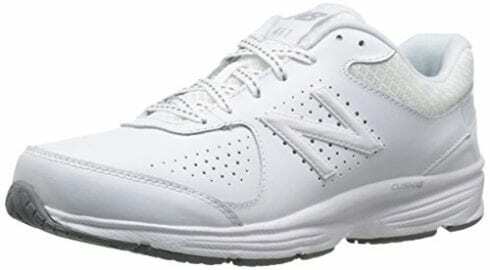 Check out these walking shoes by New Balance. The interior material of your shoe is very important because it is what will make your foot feel comfortable. Therefore you are going to want a shoe that has quite a bit of padding. The perfect insole is usually made of memory foam or a type of material that will mold to the shape of your foot. 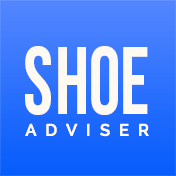 This will help you because the shoe will then be specifically designed for your foot shape and shouldn’t cause you to have any blisters or sores from it rubbing. The exterior of a shoe is crucial, because if it is made from the wrong materials, then it can make it difficult to last in various weather conditions, for instance, if your shoe is made from suede then it is likely to get ruined when it rains or snows. Therefore it is usually best to get shoes that are made from a waterproof material because they won’t get ruined. Plus, if you like to use your shoes for running outside and they are made from fabric it is quite likely that they will leak, and you will end up with wet feet, I’m sure you will probably know that this isn’t a very pleasant experience. However, if you choose to use your walking shoes in an indoor workout place, then fabric shoes should be ideal for you. If you want to use your walking shoes for outside purposes, then the type of sole you have will be an essential part. Most soles are made from rubber, but it is the amount of grip that they have on the bottom of them that is most important. To find this out you should be able to tell from the photos how much grip it has, but some products may not show the photos of the soles of the shoes. Therefore if you can’t see this, then you can always check the description of the product, and it should say if it has any special features on the bottom of the sole. Some soles also have a slip-resistance, which is very useful, as it will stop you from slipping over. This is especially important when you’re running outside because you don’t want to slip over and injure yourself. This is really down to your personal preference and what the shoes are actually going to be used for. For instance, if you want shoes for running, long distance walks or if you want to use them when you’re on your way to work, then you will more than likely need lace-up shoes. This way they will always stay on your feet, and you won’t need to worry about them falling off when you’re going for a sprint. 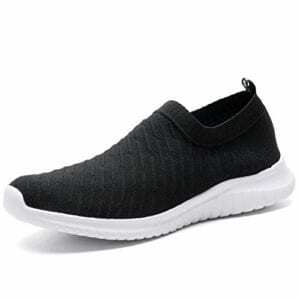 However, if you need shoes that will just be used for going out and about, then the slip-on walking shoes will be more ideal for you, especially if they are the type of slip on shoes that don’t have a back to them. This is all down to how your foot fits the shoe, as most women will know that not everyone will fit comfortably in the same shoe. However, some brands do have a very good reputation when it comes down to the most comfortable shoes, for instance, Nike and the other brands that we have mentioned in our list above. This all really depends on what type of material the shoe is made out of because if it is branded, but it is made from not very appropriate materials for what you need them for then it’s probably better to go for a different shoe. At the end of the day it is all about the quality of the materials that are used to make the walking shoes, and if these are made from a poor quality, then it’s likely that they won’t last you a very long time. This all really depends on how much you wear the shoes and for how long, because the more you wear them, the less they are likely to last. However, in general, they should last you about six to nine months, which is equivalent of 350 miles to 500 miles of running or walking. There are several ways that you are able to clean your walking shoes. You can either clean the outside of them with a wet wipe or a damp cloth. If you need to clean the inside of them, it may be best to use an anti-bacterial spray to get rid of any odors. The other way you can clean them is by putting them in the washing machine, preferably on the hand wash mode. You should always check to see if you can do this with the type of shoe you have before. Or if you don’t want to put them in the washing machine, you can always hand wash them. In conclusion, there are a whole variety of shoes all across the internet and in most sports stores, but each one you try on will feel different on your feet, and each one will have different features compared to the others. It’s always important to make sure that they fit you correctly though, as they can dramatically change your health, which is usually for the better, but if you get a shoe that doesn’t fit correctly, then it can be for the worse. Shoes are able to dramatically change your posture; especially if they are uncomfortable, you may end up walking at a different angle that’ll end up affecting your back and hips. 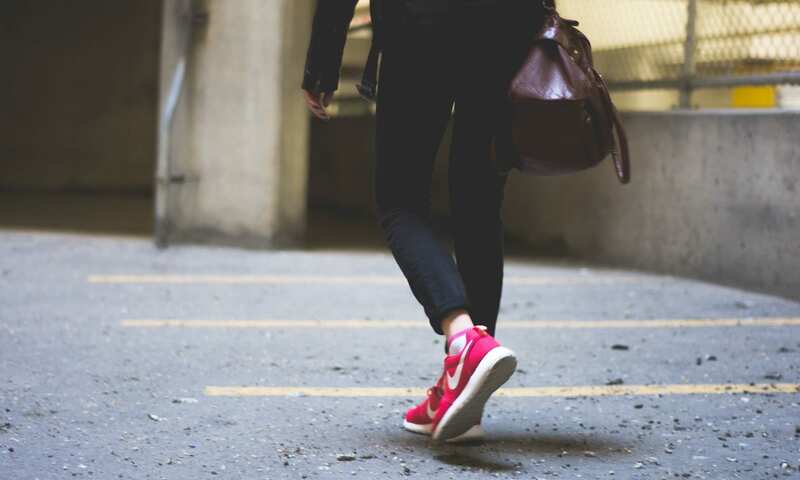 There are many different styles of shoes, and it is really down to personal preference to what type of walking shoes you prefer, plus, which ones you find to be more comfortable when you’re walking around in them. If your trainers are lightweight, then you are likely to work out a lot more. This is because you’re more likely to carry them around with you, as they won’t be too heavy. The correct walking shoes are the most vital part of the equipment that you will buy if you’re trying to get a bit more fit, because if you buy shoes that are ill-fitted then can cause back, knee and even hip problems. 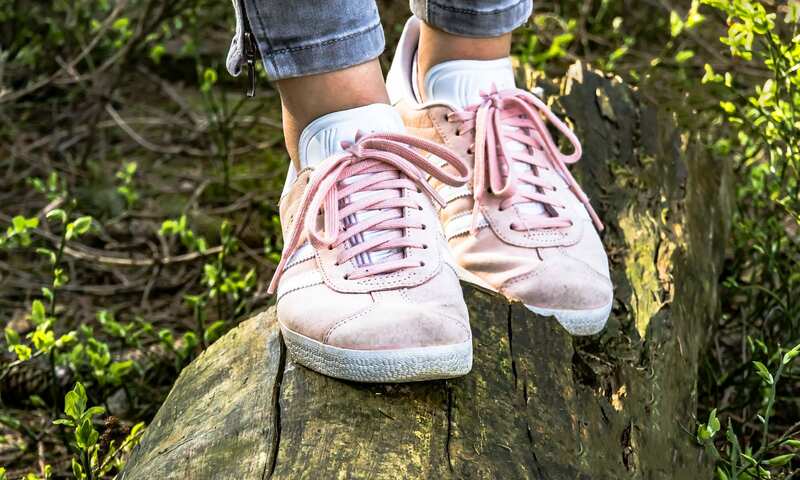 We hope you enjoyed our article on "10 Best Walking Shoes For Women in 2019", if so, please share and rate it.